It started as a family feud. It turned into the largest non-union labor walkout in U.S. history. This is the inside story of the battle to save New England’s beloved grocery chain Market Basket, and the unique battle to save its CEO Arthur T Demoulas. 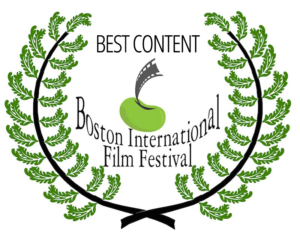 “FOOD FIGHT” is a film about the power of ordinary people to take matters into their own hands and fight for what they believe in. What started as a family feud turned into the largest non-union labor walkout in U.S. history. Hundreds of employees walked out. Thousands more risked their jobs. Millions of consumers boycotted and a $4 billion company was brought to its knees! 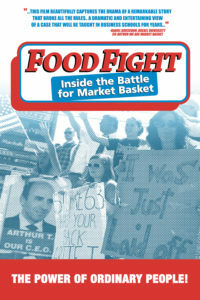 “FOOD FIGHT” is the inside story behind the fight to save the grocery chain Market Basket. WHAT EXACTLY WAS THE FOOD FIGHT? Headquartered in Tewksbury, Massachusetts, servicing Massachusetts, New Hampshire and Maine, Market Basket was then and is now again a leader in the grocery store business. Despite it’s phenomenal growth and ultra-loyal consumer base, it wasn’t always smooth sailing for the family born business. in American labor and corporate legal history. thousands of workers and the economies of three states. Esquire Magazine called it “the last stand for the middle class”. Within days of hearing the news that their beloved CEO Artie T. had been axed, high-ranking managers began to resign. Others were fired. Truckers stopped trucking. Buyers stopped buying. Warehouses stopped supplying. Vendors stopped shipping. Customers stopped shopping. And, the employees began picketing in the parking lots. Governors from two states were called in to negotiate a settlement. Practically overnight, the $4 billion dollar business ground to halt. Coverage of the Corporate “Food Fight” ran heavily across regional, national and international media as the fight to save Market Basket soared to unprecedented of levels. The legal and business lessons stemming from the tumultuous “Food Fight” remain studied today. Not just in relation to grocery stores, but relative to all corporations being put on notice.